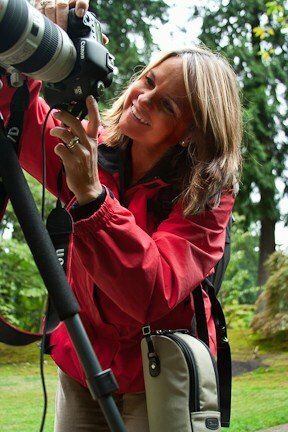 Artist Bio | Lu Ross Photography, Inc.
Life is about following your passions. 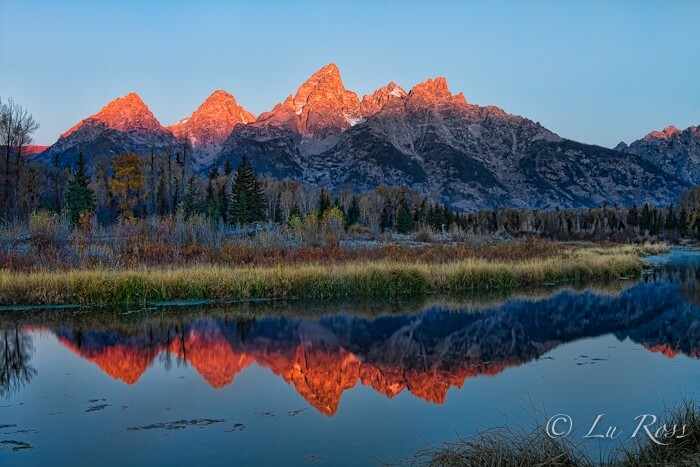 Two of Fine Art Photographer Lu Ross’ greatest passions are photography and travel. While traveling the world, surprising opportunities present themselves through beautiful landscapes, cultures, and abstracts that beckon to be captured for eternity. A review of Ross’ art pieces reveals a great deal about the artist’s love for nature, color, and abstraction and suggests a passionate and emotional view of the world. Her mission is to inspire love, joy, and peace through her art. Lu Ross was born and raised in Santiago, Chile where her French-Italian family introduced her to a life of travel and appreciation for the arts. In her earlier years, Ross spent many summer vacations with her family by the coast at the seaside resort of Viña Del Mar. Winter family vacations were usually spent skiing at resorts in the Andes. “I was captivated by the power and beauty of nature at an early age. The time I spent by the sea and the mountains gave me a great awareness of nature. I began to notice how the light affected the ocean and created forever-changing hues; how the highlights and shadows created by the rising and setting of the sun on the mountains painted a fleeting yet majestic picture. I was inspired to capture these moments and sought ways to translate this majesty into my artistic medium,” Ross explains. Like many artists, Ross’ love for art began at an early age. “My mother was a painter,” Ross says, “and her art turned out to be one of my greatest inspirations. She loved Impressionism and as I became exposed to it, I learned about the style and painters of that era. Their use of light, color, highlights, and shadows deeply resonated with me and became a big influence and inspiration for my photography. Since we traveled frequently I took to photography as it seemed to be the best way to capture the world I was discovering.” Ross is an explorer at heart and traveling the world became as natural as breathing. A life of travel has inspired a wide range of subject matter in Lu’s work. “As a photographer, I use natural light to capture moments of beauty. I create art to celebrate life and inspire the viewer to connect and experience nature’s peace, calm, and joy. I paint with light and tell a beautiful story,” she points out. Ross captures the essence and life of a scene through the play of light and color – be it representational or abstract – depicting life as it feels, not as it is. Her work is characterized by her masterful use of the artistic elements of line, texture, shape, and color. Her favorite subject matter is the beauty found in nature and its interaction with light, especially the magical light found during sunset and sunrise. Her abstract work is often an isolated section of a scene, yet expressive, colorful, and conveys strong emotions. As an artist, her inspirations include her Mother, Claude Monet, Ansel Adams, Art Wolfe, Georgia O’Keeffe, Andreas Gursky, and Jackson Pollock. “I use a combination of digital painting and photography to create most of my artwork. This allows me to put my own signature on even familiar images,” she explains. “ I use my photography as a visual language to communicate and inspire. I use it as a tool to pay homage to the amazing world we live in, to bring awareness of the beauty all around us and to encourage its preservation. Experiencing nature brings joy and health to everyone that participates. My art is a way of creating the experience of love, joy, and peace that resonates with the viewer. This goes hand in hand with my strong belief in the healing power of art which is my ultimate goal as an artist,” Ross states. Over the years Ross has sold her artwork at galleries, shows, and museums such as the Wildling Museum of Art & Nature, Alice-Rice Gallery, Art-A-Fair Fine Art Festival in Laguna Beach, Desert Light Gallery, Art San Diego, and Quorum Art Gallery where she is a co-owner and has a permanent exhibit.